© Copyright InstaBG. All Rights Reserved. Photo copyrights belong to the individual photographers. 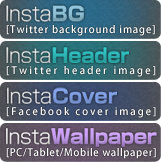 InstaBG uses the Instagram&Twitter API but is not endorsed or certified by Instagram&Twitter.